Severe combined immunodeficiency (SCID) is a type of genetic disorder that is characterized by an absence of the functional T-lymphocytes, which gives rise to a malfunctioning antibody response caused either by direct involvement with the B lymphocytes and/or through an improper B lymphocyte activation instrumented by non-functional T-helper cells. Impairment of the B-cells and T-cells “arms” of adaptive immune system occurs as a result of defects in either of the several possible genes. It is the most critical variant of primary immunodeficiencies. At least 9 different known genetic mutations have been found to play a role in the development of this disease. SCID is a rare disease, occurring in almost 1 in every 100000 live births. However, some sources regard this as an underestimation of its true prevalence, and the real rate of prevalence is almost 1 in every 50000 live births. Reports in Australia indicate that almost 1 in every 65000 births have been found to be affected by SCID. As this condition is of a genetic nature, more cases of SCID are found in areas having a greater prevalence of consanguineous mating. For example, more cases of SCID are recorded in Morocco than in many other areas. Almost 1 out of every 2500 infants in Navajo population is born with this disorder. Most cases of SCID are caused by mutations within the gene encoding γc or common gamma chain, a protein that’s shared by receptors for the interleukins IL-21, IL-15, IL-9, IL-7, IL-4 and IL-2. These interleukins, along with their receptors, play an important role in the overall development and the differentiation of the B and T cells. As many interleukin receptors share the common gamma chain, mutations that give rise to a nonfunctional common gamma chain can cause major abnormalities in the interleukin signaling. This results in an almost complete underdevelopment and malfunctioning of the patient’s immune system, with low or completely absent NK cells and T cells and nonfunctional B cells. Encoding of the common gamma chain is done by the IL-2 receptor gamma gene or the IL-2Rγ. It is located on X-chromosome. Due to this reason, immunodeficiency that results from IL-2Rγ mutations is referred to as X-linked severe combined immunodeficiency. It is inherited in X-linked recessive pattern. It is the second-most commonly occurring variant of SCID after the X-SCID, and is caused by the defective enzyme ADA (adenosine deaminase), which is essential for breaking down the purines. Accumulation of dATP is caused by lack of ADA. This metabolite inhibits the activities of ribonucleotide reductase, an enzyme that reduces the ribonucleotides to generate the deoxyribonucleotides. The overall effectiveness of the immune system depends upon the lymphocyte proliferation and consequently, the dNTP synthesis. Lymphocyte proliferation is hampered without the functional ribonucleotide reductase, which compromises the immune system. This is a type of an autosomal recessive disease that involves mutations of the PNP or purine nucleoside phosphorylase gene. PNP is an essential enzyme in purine salvage pathway, the impairment of which can raise the dGTP levels which results in a T-cell toxicity and also deficiency. Manufacturing of immunoglobulins require recombinase enzymes that are derived from recombination activating genes, namely, RAG-1 and RAG-2. They are associated with the first stage of the V(D)J recombination, a process by which the segments of a T cell or B cell’s DNA get rearranged to form one new B cell receptor or a T cell receptor. Certain mutations of RAG-1 and/or RAG-2 genes prevents the V(D)J recombination, which causes SCID. This is an autosomal recessive condition in which the MHC class II does not get expressed on the cell surface of all the antigen presenting cells. The regulatory proteins of MHC class II are altered instead of the MHC II protein itself. Janus kinase-3 or JAK3 is a type of enzyme that assists in downstream transduction of γc signal. Mutations of its gene can lead to SCID. The most critical form of SCID is noticed in the Navajo and the Apache people of United States, which is caused by the lack of a gene called Artemis or DCLRE1C. The absence of this gene makes it impossible for the bodies of affected children to repair the DNA or develop the disease-fighting cells. There are 3 other forms of SCID which are caused by mutations in genes that encode the 3 individual protein chains making up another aspect of CD3, the T-cell receptor complex. These SCID-causing gene mutations give rise to CD3 e, d, or z deficiencies which are inherited in autosomal recessive patterns. Mutations in gene encoding the CD45 can give rise to a form of SCID. It is a protein that is found on surface of all the white cells which are required for T-cell function. This form is inherited in an autosomal recessive pattern. Infant/s with SCID may develop a type of skin condition that is sometimes mistakenly believed to be eczema. However, it is actually a reaction of the mother’s T cells against the tissues of the baby. The T cells entered the babies’ circulation prior to his or her birth. This reactionary condition is known as graft-versus-host disease or GVHD. The T-cell function tests are the most vital diagnostic tests as there are other conditions which might lead to a lower number of lymphocytes. Blood lymphocytes can be placed in culture tubes, treated with numerous stimulants and incubated for several days. The normal T-lymphocytes will react to stimulants by undergoing cellular division but lymphocytes taken from patients affected by SCID normally do not undergo any such changes. Tests for evaluating the immunoglobulin levels of SCID patients may also be carried out as they are normally very low in these patients. It is possible to confirm the diagnosis of severe combined immunodeficiency in utero or prior to the baby being born in case there has been found a previously affected child in the family with the molecular defect been identified. This can be carried out by performing a chorionic villous sampling or CVS test which involves obtaining and testing the cells from placenta, or by amniocentesis, a process in which a sample of fluid that surrounds the baby is evaluated. The fluid contains fetal cells and is obtained from uterine cavity. In most of the cases, unless a termination of the woman’s pregnancy is considered due to an affected fetus, the diagnosis is ideally done at birth on the cord blood lymphocytes. It is so because there are some risks to the fetus associated with this procedure if the blood for lymphocyte studies is collected while the baby is in utero. Most infants are diagnosed with SCID before they reach the age of 6 months. Pilot studies are currently being conducted to evaluate the use of T-cell recombinant excision circles in detecting SCID. Bone marrow transplantation is the most widely used treatment method for curing severe combined immunodeficiency. It uses a matched unrelated or related donor, or one half-matched donor who might be either of the parents. The half-matched transplant type is referred to as haploidentical bone marrow transplants. These bone marrow transplants make it necessary to deplete the donor marrow of all the mature T-cells so that the chances of developing graft-versus-host disease (GVHD) may be avoided. Due to this reason, a properly functional immune system does take much longer to form in an individual undergoing a haploidentical bone marrow transplant when compared to another patient receiving matched transplant. Generally, transplants done during the first 3 months of life do have a high success rate nowadays. Doctors also have had some form of success with the in utero transplants that were carried out before the birth of the child as well as by using the cord blood that has rich amounts of stem cells. The in utero transplants allow the fetus to form a fully functional immune system within the sterile surroundings of the uterus. However, it would be difficult to detect or treat complications like GVHD if they occur. Nowadays, gene therapy is also in use as an alternate measure for bone marrow transplant. A transduction of missing gene to the hematopoietic stem cells by using the viral vectors is currently being tested in X-linked SCID and ADA SCID. Immunoglobulin (IVIG) replacement therapy can help to replace missing antibodies that result from B-cell defect. This form of treatment is recommended for patients who are over 3 months of age and have already developed infections. Some non-curative methods to treat SCID are also in use. These include reverse isolation which involves using laminar air flow as well as mechanical barriers that isolate the affected patient from harmful pathogens that are present in external environment. Enzyme replacement therapy is another non-curative procedure used to treat ADA-SCID. In this procedure, the affected individual is given injections of polyethyleneglycol-coupled adenosine deaminase (PEG-ADA) that helps in metabolizing the toxic substrates of ADA enzyme as well as prevents their accumulation. Treatment using PEG-ADA can also help to restore T-cell function within a short term, which is usually enough to clear any signs of existing infections before doctors proceed with curative treatments like bone marrow transplant. If left untreated, infants affected with SCID usually die within the first year of their life due to recurrent episodes of severe infections. An early diagnosis is necessary to prevent the development of any life-threatening infections or complications. Treatment with bone marrow transplantation or enzyme replacement can increase the chances of long-term survival. Patients who are uninfected, well-nourished, and younger than six months of age before transplantation enjoy the best outcomes. HSCT or allogeneic hematopoietic stem cell transplantation in individuals younger than 3 or 4 months of age is commonly associated with more positive outcomes. 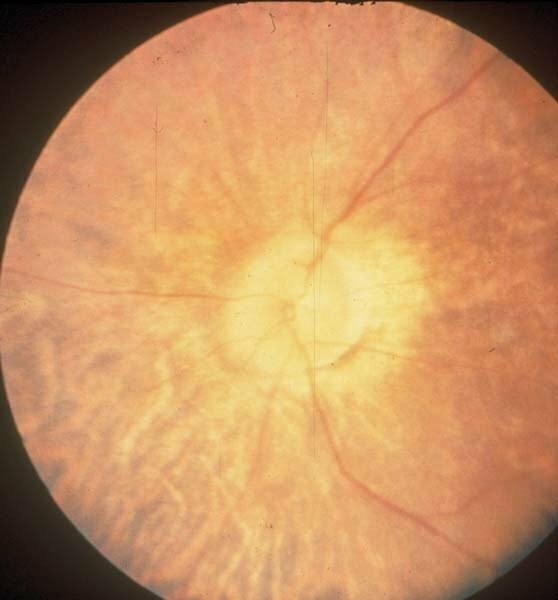 Patients with less severe forms of ADA mutations may survive into adulthood. SCID is also known to affect certain animals, such as Arabian horses, certain dog breeds and mice.